An unbeaten Golden Slipper winning Champion two-year-old Vancouver has all the credentials to become a super sire. The highest rated two-year-old of his generation Vancouver kicked off his career taking out the Breeders' Plate in fine fashion. He then went on to win the Group Three Canonbury Stakes and the Group Two Todman Stakes on his flawless path to the Golden Slipper. 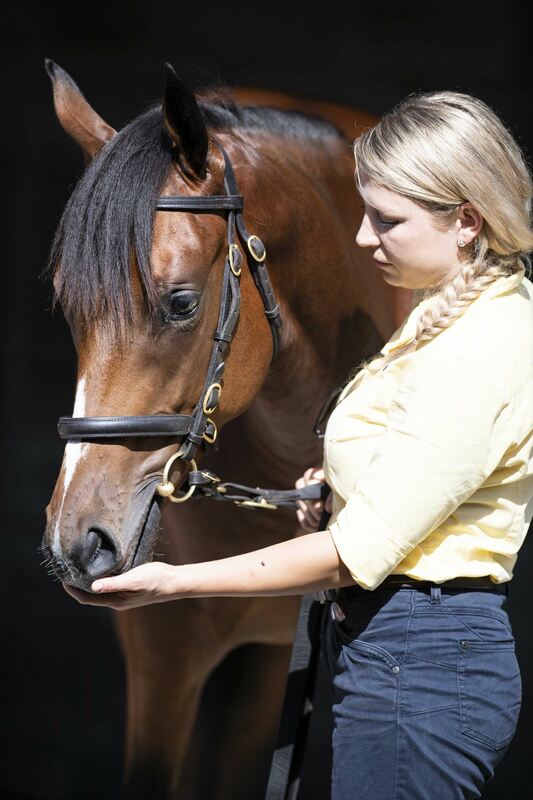 He culminated his career as a two-year-old with an impressive victory in the Golden Slipper, the world's richest two-year-old race and the race that continues to shape the Australian breeding and racing industry like no other. With his progeny proving to be well received and very popular in the ring we are delighted to have secured this filly with plenty of upside. This filly is out of the talented Group Three placed mare Angel Bee. A city winning two-year-old, Angel Bee came back a better three-year-old adding some black type to her resume placing in a Group Three and just missing out by a nose in a listed race. Dam of two foals to race Angel Bee is already the dam of one winner. Out of a Group Three winning Zabeel mare herself, Angel Bee's dam is also the dam of three stakes horses including a multiple black type producing mare in Turnstiles. 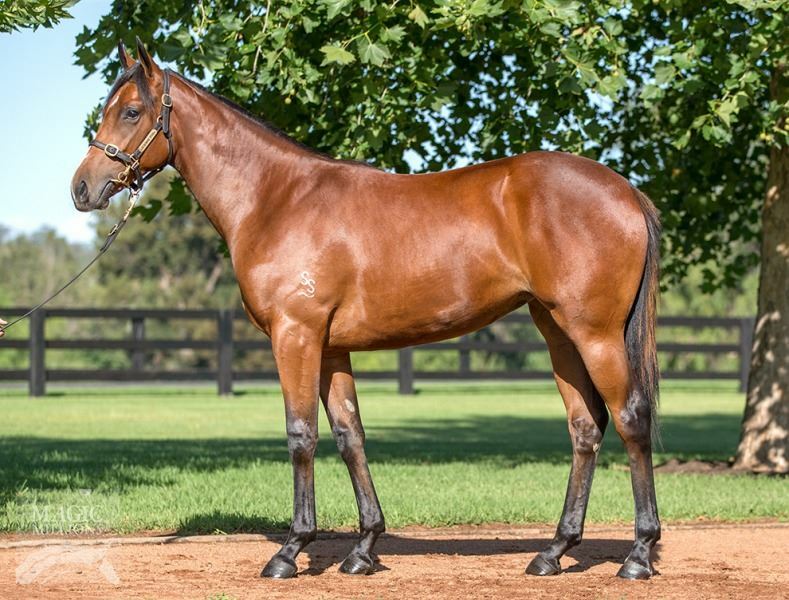 With early speed written all over this filly's page and a young active family with plenty of updates to come through, we are extremely excited to get our hands on this early sharp looking two-year-old. 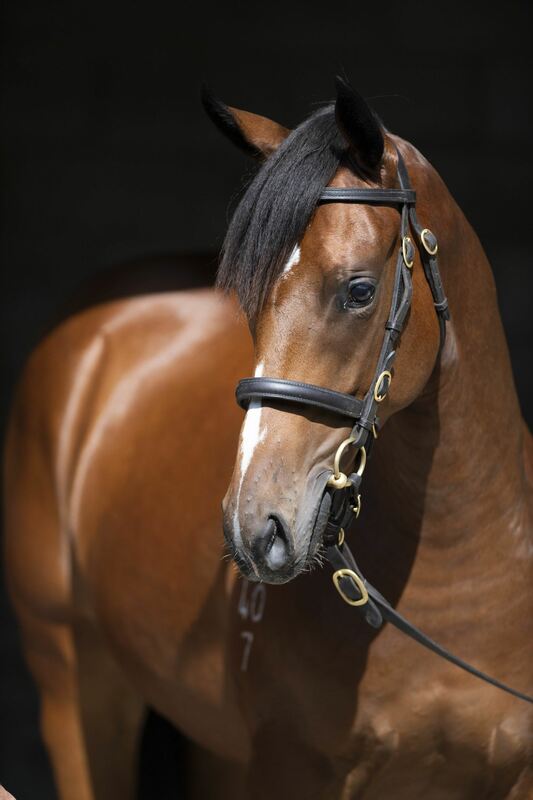 Angel of War (f by Declaration of War (USA)) Winner at 1200m in 2018-19 in Aust. Angel Bee (f Pins) 4 wins. See above. 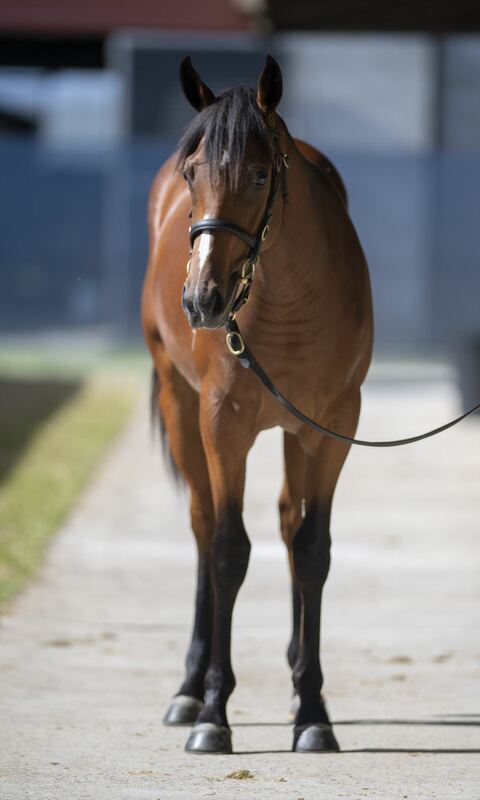 O'Angel (f Cape Blanco) 3 wins at 1300m, 1400m in 2017-18, Waikato RC Design Depot H., 3d Rotorua S., Gr.3, ARC Auckland Co-Op Taxis H., Coastline Markers H.
Revolving Door (g Sebring) 2 wins-1 at 2-at 1200m, 1300m, A$193,700, MVRC Epworth Medical Imaging H., MRC Cove Hotel 2YO H., 2d MRC Caulfield Guineas Prelude, Gr.3, TAB Supports Jockeys Trust H., Securecorp H., 3d VRC Sires' Produce S., Gr.2, MVRC Bendigo Bank H., L, 4th MRC Blue Diamond Prelude (c&g), Gr.3. Golden Spin (c Medaglia d'Oro) 4 wins at 1200m, 1300m, A$165,153, MRC Frank O'Brien H., Jack Dunn H., MVRC Bertocchi Famous Xmas Ham H., 2d MRC Manfred S., Gr.3, 3d Ballarat TC Magic Millions 3 & 4YO Classic. K-Moochi. 3 wins at 1200m, HKJC Chairmen's Day H., IWC H., Wong Chuk Wan H., 2d HKJC Lung Wui H., Fa Po H., Sea Eagle H., 3d HKJC Panasonic Bread Maker H., Europe H., Lung Mun Road H.
Twinkles. 3 wins from 2000m to 2100m, 2d BOP RC Mills Reef Winery H., 3d Avondale JC West Brook Wines H.
ZABEELS ANGEL (f Zabeel) 9 wins. See above. Merry Xmas. 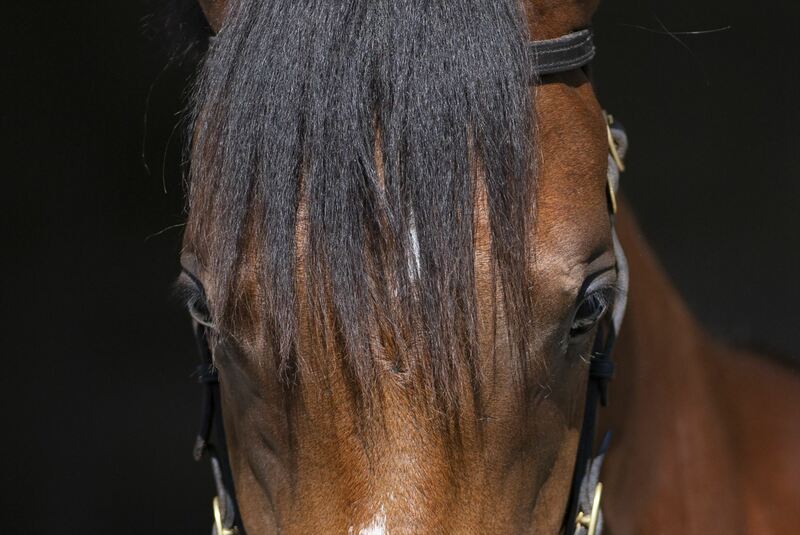 5 wins from 1200m to 1600m, ARC Memphis Meltdown H., Avondale JC Franklin Farm Services H., Pinepac H., 2d Waikato RC Faltaat H., CJC Riccarton Park Function Centre H., 3d ARC Ra Ora/Haunui Partnership H., CJC Riccarton Park Function Centre H.
Nearly Noel. Winner at 2, WATC Arcadia 2YO H.
Bombarding (g Dalghar) 4 wins-1 at 2-at 1000m, 1100m to 2018-19, ATC Canterbury Night Sprint H., 2d Wanganui JC Castletown S., L, Whangarei RC Bear Morgan at Harcourts H., 3d ARC Withers & Co Accountants H., Bidfood H., BOP RC Gartshore H.
Navidad Boy - No Drama (Mal.). 4 wins-1 at 2-at 1200m, 1300m, A$75,640, 4,950Rgt., S$19,235, WATC Euphrates H., Charming Wave H., Budget Rent a Car H., Lawley H., 2d WATC Trafalgar H., WA Fruitgrowers Association H., Damsel H., In the Pink H., Albany 104.9FM H., 3d WATC Duncraig H.
Arragon's Star. 8 wins from 1400m to 2200m, HBJC Te Mata H.
Xmas Eve. 5 wins. See above. Little Leach. Winner at 2, ARC Helene H. Producer.